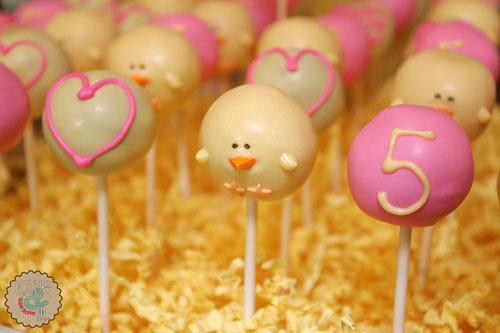 This little 5 year old had a very specific birthday treat request, she had her heart set on yellow ducks. 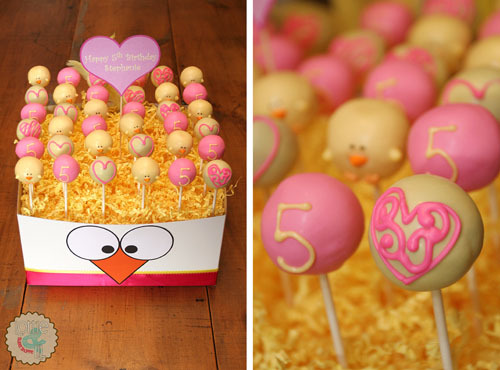 Her mother thought to surprise her with not only designer yellow duck cake pops but a custom duck display and pink cake pops to add an extra girlie touch. She was one surprised and happy birthday girl! This entry was posted on Monday, January 14th, 2013 at 8:10 am	and is filed under Birthday Pops.